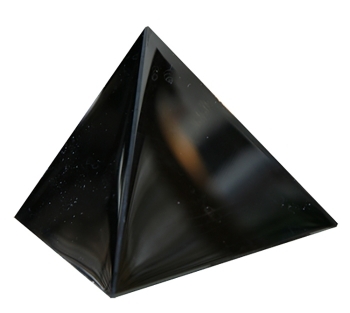 OBSIDIAN is one of the most protective crystals. 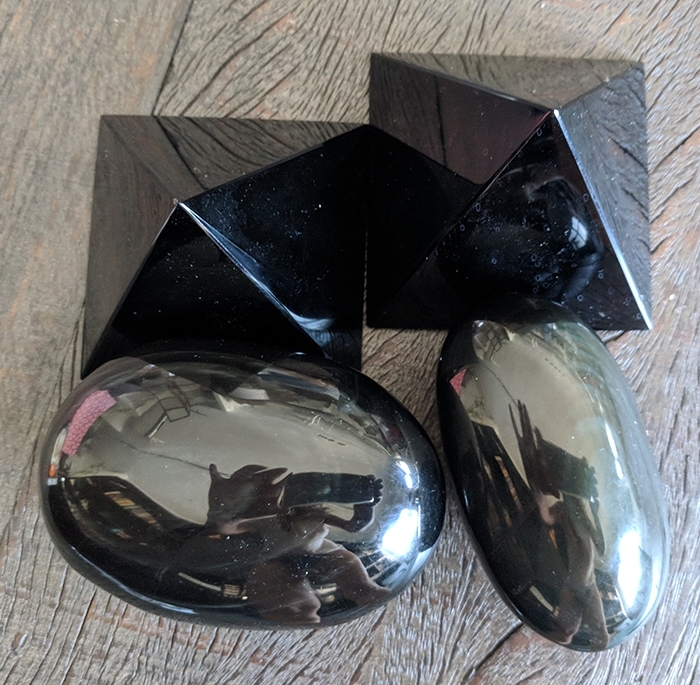 It is molten lava that cooled so quickly it did not have time to crystalize so it comes in slick black forms. 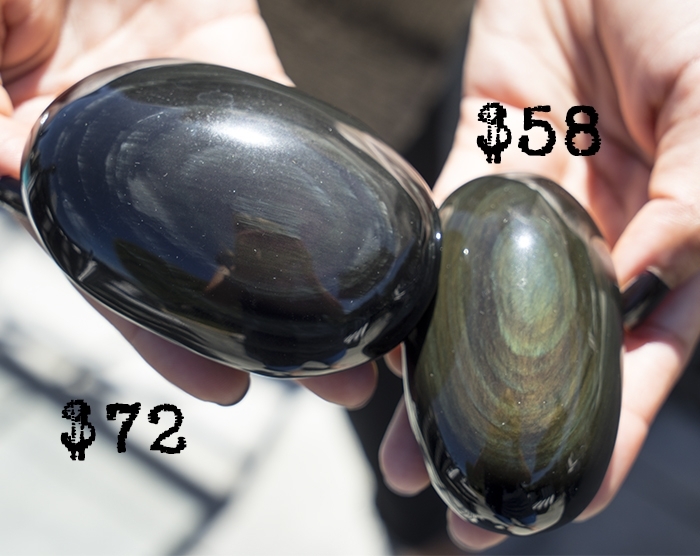 Obsidian has no boundaries or limitations and works very quickly. Nothing can be hidden from it, which is what makes it so powerful as a deflector of negative energy. You can place the pyramids under beds to keep spirits away. 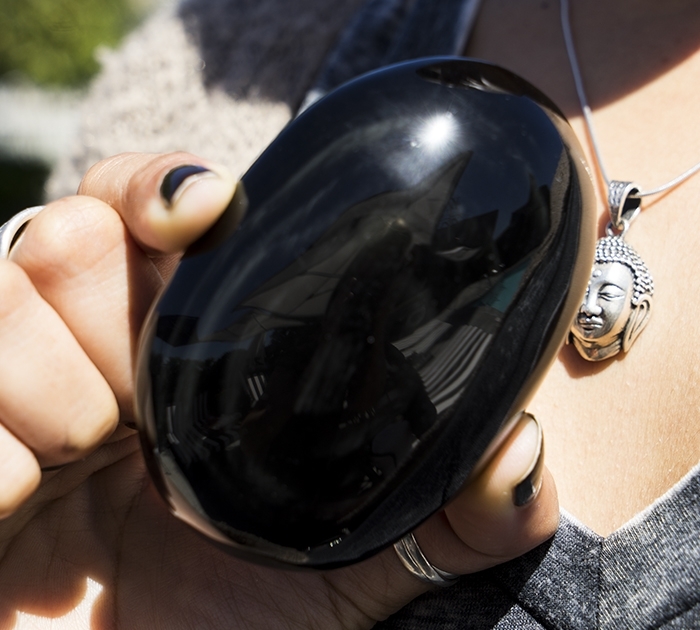 It is also a creative stone that increases self-control. Having obsidian around helps you face your true self. It disperses unloving thoughts. They teach you about having a more spiritual nature. 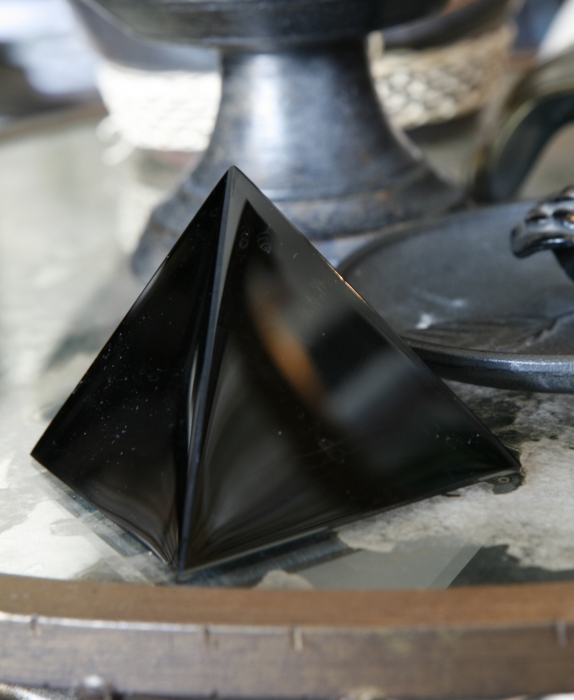 Obsidian is the most protective stone - place anywhere.